The Ibanez PF Performance Series PFT2 is a four-string acoustic guitar with a tenor range and a natural gloss finish. With its lower tuning and particular timbre, it can fill out song arrangements in a unique way. 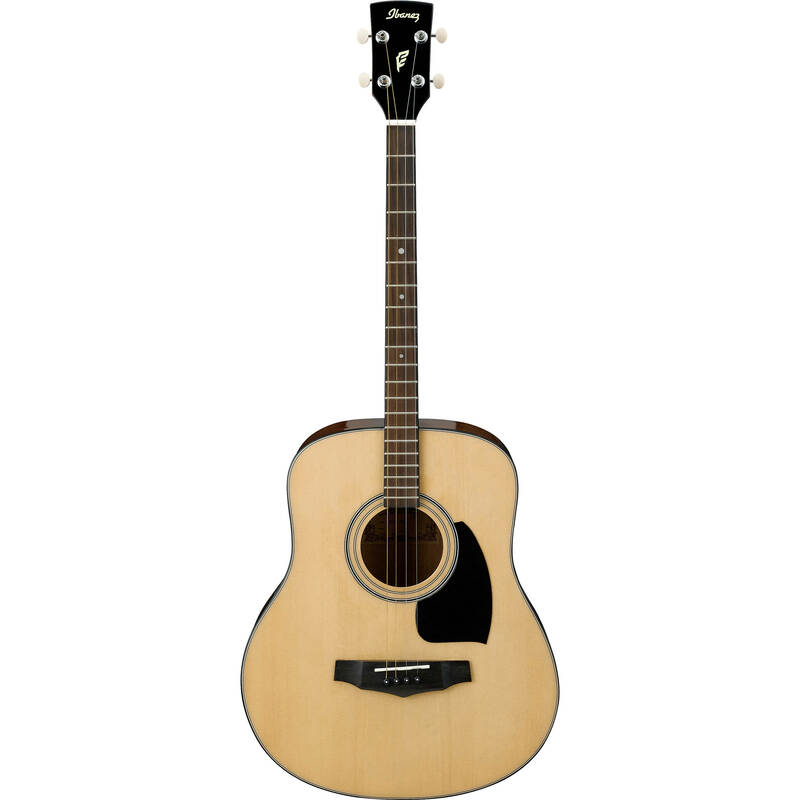 Its mini dreadnought body sports a spruce top, a sapele back, and sapele sides. The mahogany neck has a 22.8" scale, a purpleheart fingerboard, and 20 frets. The bridge is also fashioned from purpleheart, and utilizes Ibanez Advantage bridge pins to secure the strings to the body. At the headstock, you'll find chrome open-gear tuners with ivory knobs. The PFT2 also boasts a bone nut and saddle. Box Dimensions (LxWxH) 35.0 x 11.0 x 5.0"